This is my review of Hifiman Susvara, which I have been listening for a few months. 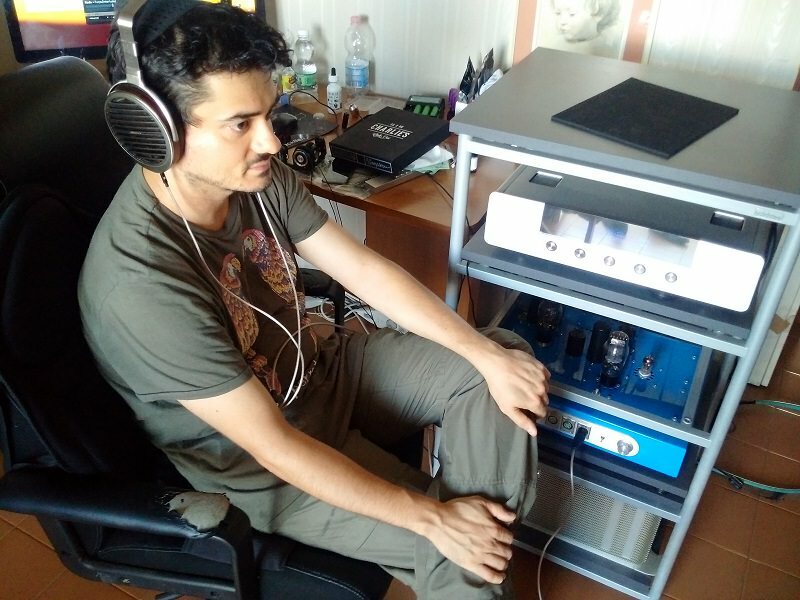 Aside from Shangri-La (which is a statement product built by Hifiman as their answer to the Sennheiser Orpheus electrostatic system), the Susvara is the top end of Hifiman’s line of headphones, and a sort of synthesis of the genetics of their previous main models, the HE-1000 v2 and the Edition X. 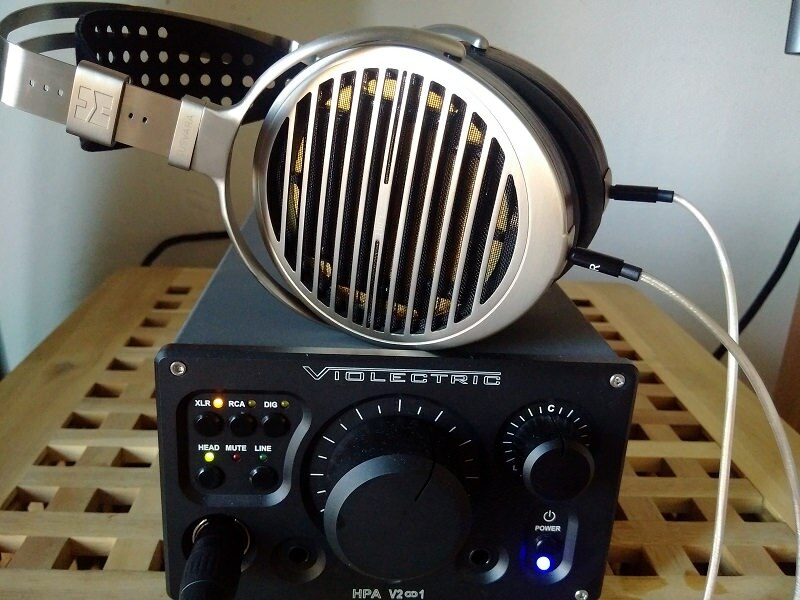 To me, the HE-1000 v2 are among the best headphones driven by a DHT/tube amplifier, and I reviewed them using the DNA Stratos: the union of the two showed a delicious synergy of fullness, clarity and three-dimentional ambience, and to this day I consider it an exceptional match. 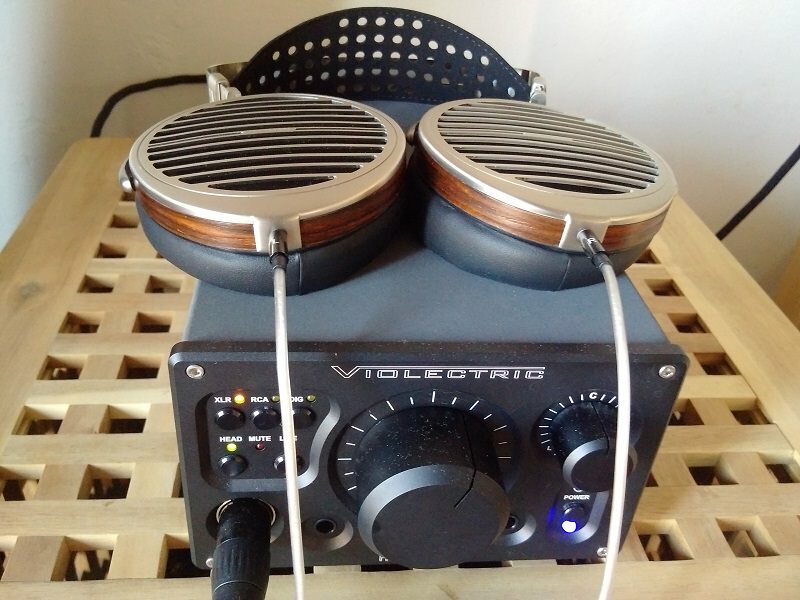 During last Munich Hi-End festival, I also tried the HE-1000 v2 with a Headamp GS-X solid state amplifier, but to me the match was not magical and the sound was a bit too skeletal. 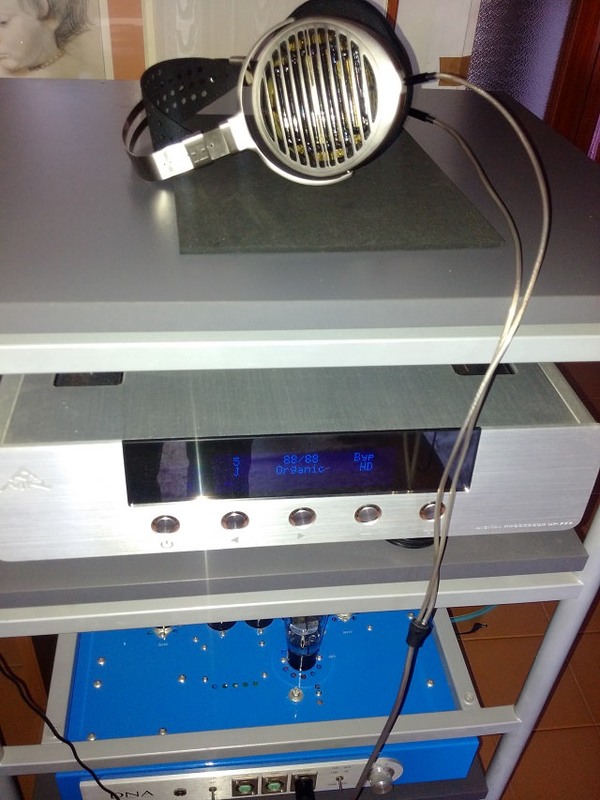 A couple of years ago, I also reviewed the first HE1000 model with the Machintosh MHA-100, a dark-ish solid state amplifier which, in my opinion, would fare very well as an all-arounder with all Hifiman’s headphones, but was still not as amazing as a high end DHT amplifier (such as the Stratos),at least with the HE-1000 v2. The Edition X (both the V1 and V2) exist as wonderful sounding headphones for the price. They work best with solid state amplifiers and have a great sound signature (close-to-perfect bass to midrange to treble balance) already built-in in the headphone, although they don’t reach the level of spectacular transparency and 3D immersion of the Edition X. The Susvara builds its signature upon the HE-1000 v2’s, improving the level of cohesion, immersion, and density. They have a much more solid foundation, whenever a song has strong bass, other instruments are holographically portrayed as coming out of an “ink” line of bass. My amplifier of choice has been the DNA Stratos, again, with the AMR DP-777 DAC feeding it. The DP-777 (non SE) is one of the best sources around, outputting an analogue sound and tons of information. As a secondary system, I have been using the Violectric V281 SS amplifier, with my custom Weiliang/Museatex DAC. The Violectric is a very smooth amplifier and the Weiliang/Museatex is a very energic, non digital type of source. I have listened to pretty much all my musical library with them, but some specific songs will be used as reference. In Tori Amos’ Little Earquakes album, and more specifically Cornflakes Girl track, her voice is rendered in a very believable, human way. There is intimacy, there is “meat” in her voice; sibilance is non existent but treble reaches that level of realistic quality where it’s never muted, but never offending. Listening to Bjork, Hunter from my favourite album of hers, Homogenic): the bass is trembling, very hard hitting. There is a general sense fullness because the soundscape is all filled by the sound effects of the recording. The bass is well localized under the listener. This track showed some limitations of the DNA Stratos when I tried to raise the volume to very high levels (to enjoy the bass hits, higher than standard enjoyable levels for a song), where the Stratos started to clip. Listening to Radiohead’s Subterranean Homesick Alien, a benchmark for me, when I should evaluate if upper mids or lower treble can become painful because of distortion or some bump in the frequency response, the Susvara show great control: vocals are always wonderful, ethereal, velvety at times. With its immersive treble peaks, the track manages to create an alien paradise, not created for humans. The Susvara resolve these treble very quickly, decay is portrayed also spatially. Listening to one of my favourite authors of electronic music, Shulman, the music flow is constantly effortless. The Susvara capture the meditative feeling, the music springs up from the bass and there is never an excess of “fat”, meaning mid-bass is always controlled. All samples are perfectly defined and reach the listener with extreme clarity (boundary definition) and vividness. One of my prog-electronic bands is Ozric Tentacles, especially the album “Erpland”: the title track sounds very crisp; with the Susvara it sounds very wide, where cymbals are projected in the very external part of the “listening bubble”, energic without being scratchy, while bassy sounds are concentrated in the center of the bubble and guitars are just aside of the bass. The sense of progression of the song and the rhytm is rendered perfectly, almost martially. The song is extremely rich of details and the Susvara let the listenerd follow all the treble details: laser beams, alarms are easily spotted and followed in their movement. There is a wonderful sense of separation. There is an ideal canvas, behind which are the less prominent instruments, until they come to the spot from behind. All the effects are super clear, super fast, and can be visualized without having to concentrate. In the same album, Valley of a thousand thoughs shows drum hits that are perfectly localized and very powerful with the Susvara. The direction of the hit is very detectable. With its energy, the Susvara is like an active player in performing the sound reproduction. It’s possible to separate very well the energy given to the instruments partecipating in the main flow, from environmental sounds that act more like a frame. In Frank Zappa’s Peaches In Regalia, everything sounds highly detailed and textured, very tactile, as every tip of a sound could be touched. The track alternates sweetness and richness to a sense of acidity, rendered perfectly by the headphone’s high frequency extension. The coral sense of the music is perfectly rendered, every instrument player pushing to partecipate in the mix. I selected a very dark song, Public Image Limited’s The Suite, because of its very thick midbass. The lows never go out of control, the atmosphere is very dark, negative, all is covered by a sense of blackness, but the sense of timing is very strong, toe tapping, treble is very clear over the bleak atmosphere, and the crispness of the singer’s voiceis perfectly rendered; the recording is full of “s” that could get sibilant, but here they are very present, without getting out of control. Listening to Boys don’t cry (The Cure), the vocals are very intimate and rich. The drums and guitars sound very realistic, defined; it’s like it could be possible to look at the color of the wood the instruments are made of. Arvo Part’s Fratres shows an extreme delicacy and texture definition: again, it’s like it could be possible to look at the color and shape of every instrument. In every moment, it feels like being part of the music, observing everything with a magnifying lens, enjoying the colours of everything from nere, but at the same time following the whole. During the tracks, sonic masses are created, but they are never blurred, but rather super defined, letting the listener feel their roughess. Every passage feels “intriguing” rather than “indifferent”, thanks to the cohesion of the tonal balance and how the richness of everything is portrayed. The list of songs could go on and on. In my written notes, I have taken specific note of the performance of the Susvara with several other works, such as Mingus’ Pithecanthropus Erectus, Oistrakh’ Violin Concert in D Major (Op61), Wayne Shorter’s Soothsayer, Modern Jazz Quartet’s Lonely Woman, Popol Vuh’s Hosianna Mantra, and more “pop” stuff such as Depeche Mode, Morcheeba. There is a constant: listening to the Susvara, adequately matched, the single sonic parameters become less interesting, because the listener feels more generally part of the performance, looking at how the musicians are calling each other, following what I have already defined the “intention behind the track” and feeling the music on a very deep level. The listener’s perceptions and emotions become parts of the flow. I have often found myself hearing some bells ringing and thinking “yes, I would also place them here!”, almost feeling that I could have been part of the creative process. Compared to the HE1000 v2, there is much more viscerality, brutality. The DNA Stratos works very well but cannot go too high in volume. It’s definitely possible to search for more dinamically powerful amplifiers, and because of their inherent character, the Susvara works greatly with both solid state and valve amps, opening up several possibilities. The Violectric V281 renders a beautiful midrange and sense of fullness with the Susvara, which couldn’t have been possible with any solid state amplifier I had tried with the HE1000, and I think several solid state headphone amps could be much better and transparent than that one. I don’t have the Macintosh MHA100 anymore, but that could be another great possibility for them. High quality, transparent speaker amps could also be tried. The HE1000 v2 are already great in the right system; where they create a rich sound portrait, the Susvara, albeit hitting the “law of diminishing returns”, add up to it by letting the listener enter the portrait, by increasing so strongly the sense of connection with the music.